We have the connection you need. The Lapp Group is a leading systems provider that develops, manufactures and delivers connection solutions for the world of cable technology. 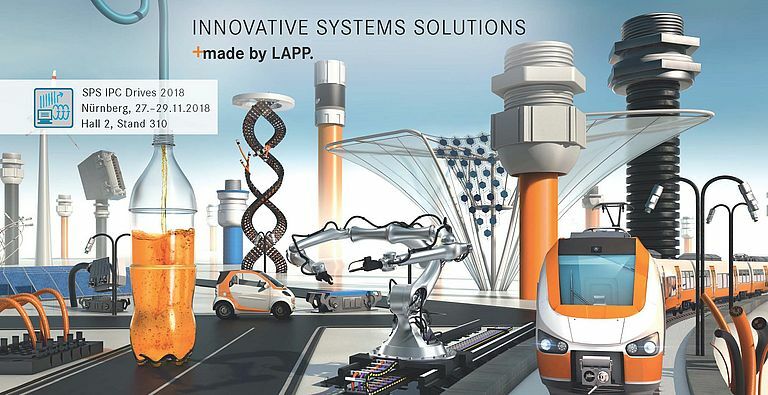 Whether for Industry 4.0 applications, automation, mechanical and plant engineering, power supplies, mobility, or the food and beverages industry – with its 17 manufacturing locations on four continents and sales representatives in some 140 countries, Lapp is right there on the spot to provide you with its expert advice and tailor-made products.